Sigmon Farm Park is exactly that, a place for John and I to enjoy things we like and be able to share those hobbies with others. We have opened our farm for horse shows, derbys, trial rides, clinics and one day events. These are all family oriented activities, for the young and young at heart. You can bring your horses and get more experience for them or yourself. Horses of many breeds and disciplines have been part of my life over the years. I grew up trail riding, and from there progressed to hunters, exercise rider at the track, pony club, eventing, rodeo and foxhunting. 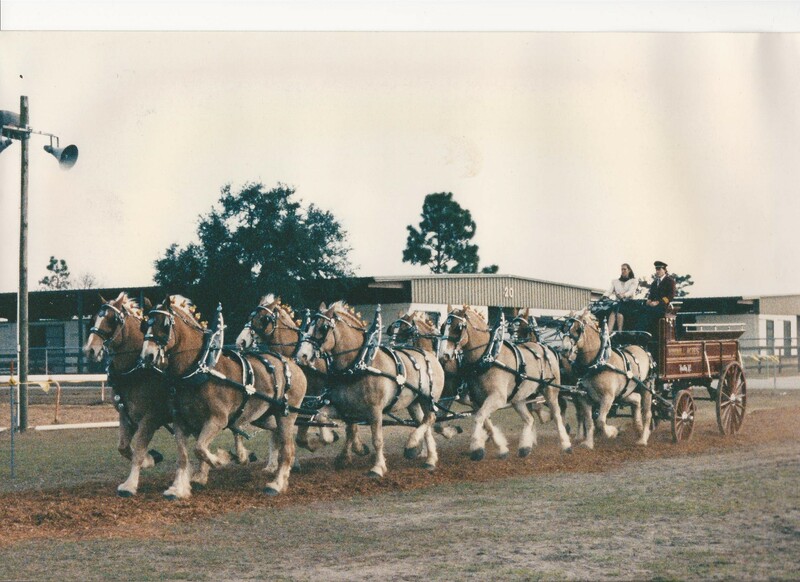 For 12 years I traveled all over the US and Canada competing and driving Belgian Draft Horses. ( As many as an 8 horse hitch, see photo below!) 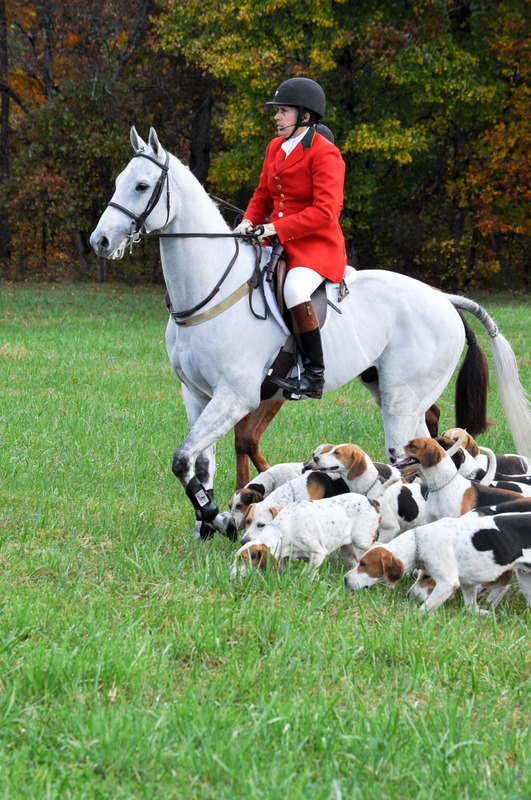 More recently I returned to my roots of foxhunting, where I went from riding in the field, to whipper-in, to eventually Huntsman and Joint Master. Timmy and Kim during Yadkin Valley Hounds Opening Hunt 2011. 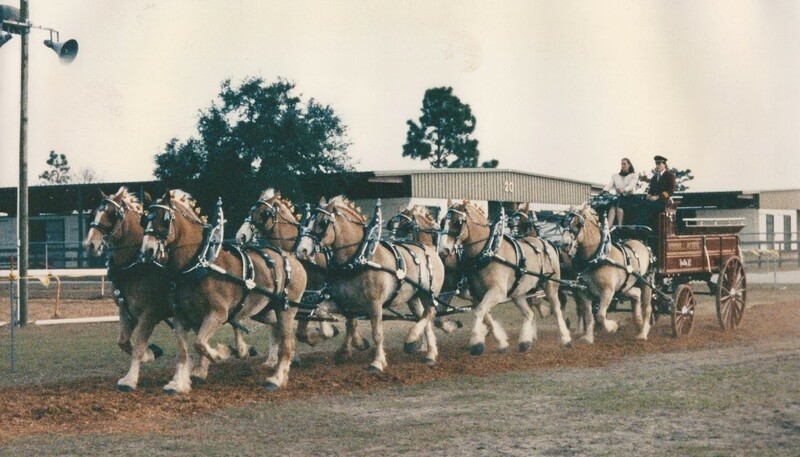 My husband John was involved with the draft horses over the years and also showed them in competition. 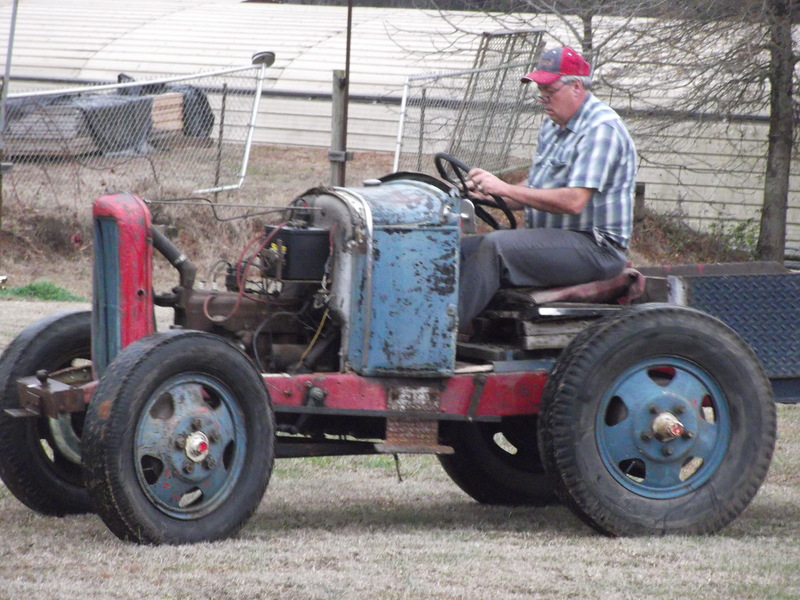 He now collects and restores antique farm equipment – such as tractors, doodlebugs, combines, balers and some hand tools. He enjoys taking them to harvest festivals and shows, demonstrating how they work and were used on the farms of the past. John testing out his Doodlebug before he restores the body!